Hi and welcome back to Anna’s World! It’s been a while since I’ve posted anything but you’ll find out why in this post. I’ve been very busy the past few months! I just returned from a trip to New Orleans for my very first RT Conference! What a blast we had. My PA, Anne Welch, and I met at her house in Tennessee and drove down. The drive was scenic and fun-filled, with Anne serenading me with her version of Let It Go while counting the dead armadillos along the road. Yes, that’s Anne! We had the opportunity to meet some very talented authors, attend some informative panels, do a lot of promoting and of course there was the big book fair on Saturday where I signed books! Some of my street team members joined us mid-week and it was great to finally meet up with them and share some good times. My new publisher, Blushing Books was there and I enjoyed spending some time with them as well. That being said, I’ve also been busy with books!! 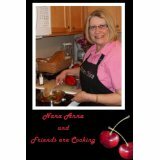 My cookbook, Nana Anna And Friends Are Cooking has been released from Rebel Ink Press and is available from Amazon and B&N. Rebel also put together an anthology of my three short romances, all set in the Hoosier state, and it’s available from Amazon and B&N in paperback form and in ebook form on Amazon and ARe. 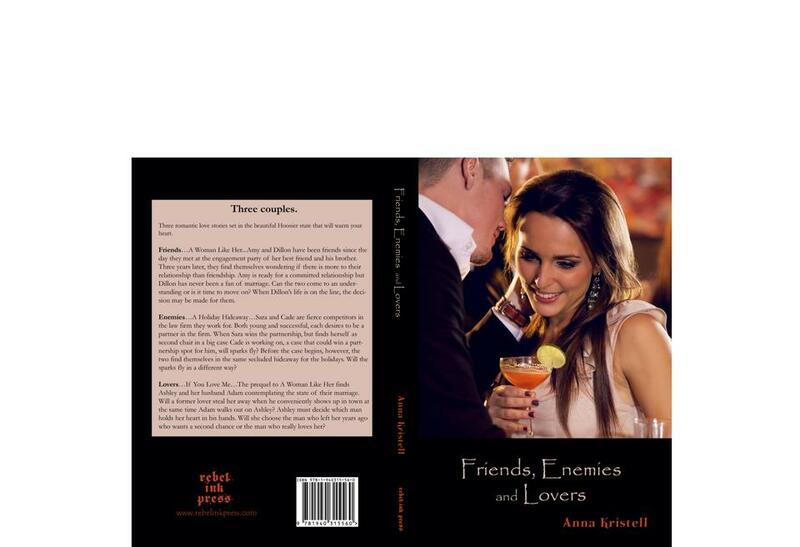 It’s titled Friends, Enemies and Lovers. The seventh installment in the Fab Five series was released in April by LazyDay Publishing. A Dangerous Road To Destiny is available as an ebook from Amazon, B&N and ARe. The series will soon come to its conclusion with two more stories that you won’t want to miss. Submitting to Bryan, the sequel to Accepting His Terms written by my spicier side, Isabella Kole, is completed and should be out sometime this year. I’ll give you more details as they come in. Now, I’ve turned my attention back to Anna and am getting ready to begin the second book in The Promises Trilogy for Rebel Ink Press. Remember Our Promise was the first and so many readers asked for a series after they read it that I decided to make it a Trilogy. So you see, I’ve been quite busy and there are two more book shows in the works. I’ll be signing at the Indie Mashup in Houston in August and the Indie Mashup in Tampa in September. The Fab Five are back, and another O’Grady employee needs their assistance. Joanna Barnes and Marcos Avila mix like oil and water. When the restaurant he works for in Dallas sends him to Houston to open a new Chloe’s Place in a hotel chain, Marcos meets Miss Barnes, who gets under his skin from the start. Joanna works for the hotel, and when she tries to tell him how to do his job, it infuriates him. When both their employers have to order them to get along on the job it becomes evident that they might like each other a little more than they are letting on. Both Joanna and Marcos scoff at the idea. Joanna has been hurt in love and would like to find a man she can count on. She begins to see that she does indeed have feelings for Marcos, but starts dating Greg Grayson, whom she met on an online dating site instead, thinking he is the safer choice. Marcos could easily break her heart. Greg Grayson, however, is not who he appears to be. When Joanna and Greg meet and begin dating, Marcos is concerned. Seeking the help of his respected employer, Ryan O’Grady, the two men have Mr. Grayson investigated, and what they find doesn’t bode well for Miss Barnes. Realizing his feelings for Joanna go much deeper than he cares to admit, Marcos sets out to change her mind about him and about Greg. But that day, Joanna finds herself in a dangerous position; will Marcos get to her in time? Will the couple finally realize their destiny, or will Greg make sure it never happens? Three couples. Three romantic love stories set in the beautiful Hoosier state that will warm your heart. Friends…A Woman Like Her…Amy and Dillon have been friends since the day they met at the engagement party of her best friend and his brother. Three years later, they find themselves wondering if there is more to their relationship than friendship. Amy is ready for a committed relationship but Dillon has never been a fan of marriage. Can the two come to an understanding or is it time to move on? When Dillon’s life is on the line, the decision may be made for them. Enemies…A Holiday Hideaway…Sara and Cade are fierce competitors in the law firm they work for. Both young and successful, each desires to be a partner in the firm. When Sara wins the partnership, but finds herself as second chair in a big case Cade is working on, a case that could win a partnership spot for him, will sparks fly? Before the case begins, however, the two find themselves in the same secluded hideaway for the holidays. Will the sparks fly in a different way? Lovers…If You Love Me…The prequel to A Woman Like Her finds Ashley and her husband Adam contemplating the state of their marriage. Will a former lover steal her away when he conveniently shows up in town at the same time Adam walks out on Ashley? Ashley must decide which man holds her heart in his hands. Will she choose the man who left her years ago who wants a second chance or the man who really loves her? Want to hear how the cookbook came about? Okay, that’s about it for now. More to follow! Until then, have a safe and happy holiday and keep reading!